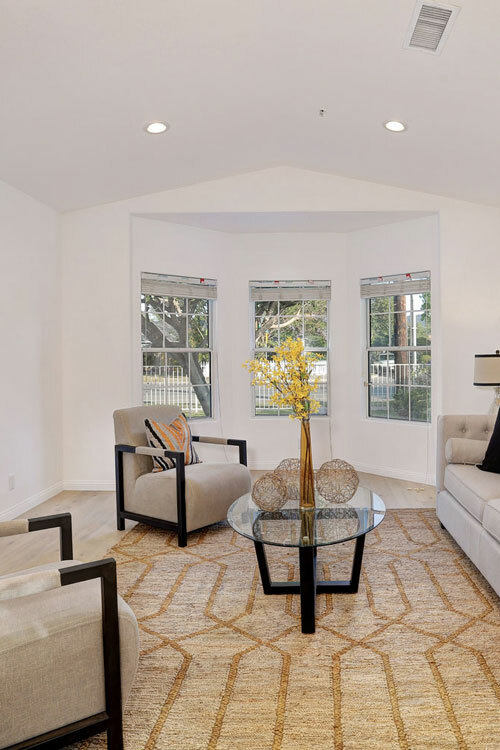 Phenomenal opportunity in lower Burbank, originally constructed in 1999 and thoroughly remodeled in 2018 is this single-level 3 bed, 3 full bath close-to-everything home that feels like new construction. Walking into the entry hall, you'll notice the formal sunken living room which seamlessly blends into the dining/kitchen areas, with brand new Samsung appliances. Further down the entry hall leads you into the casual family room with 11'+ ceiling, gas f/p, wet bar, full bath and separate entrance. Two more bedrooms share another full bath. You'll find the Master Bedroom with a cathedral ceiling tucked privately in the rear of the home with his-and-hers closets. The rear yard offers near complete privacy, as well as lime, lemon and orange trees. A direct-access attached large garage with built-in cabinets completes this contemporary home. R3 zoning allows potential for a guest unit, ask agent for details.